The simplest way to improve radio reception it to put a radio in a window. If you can’t do that you still have several options. First using a CCRadio-2E, with its sensitive AM capabilities, is often enough to improve radio reception. 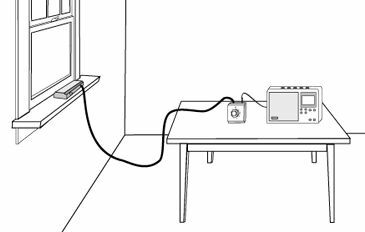 If you’ve already done that, you can try running a wire from your radio to an antenna in a window. You could also try running cable along the floor or through the ceiling, or you could even wrap it around a few co-workers if you like (just kidding). But really, running a coax cable (like TV cable) from your radio to a well situated antenna might just do the trick. Two antennas to consider for this type of setup are the Twin Coil Ferrite® AM Antenna or the FM Reflect. If you have an “in” with the super, you might even be able to mount an antenna just outside your window. Not interested in purchasing an antenna? Try building your own for free, using our simple antenna plans. If you have broadband access you can opt for one of our WiFi Internet radios that stream a variety of content. You’ll just want to check and make sure that the show or station you want to listen to is available prior to purchasing. We’ve written several articles explaining in great detail the pros and cons of internet radio and what kind of content you might hear to help you decide if that’s the right solution for you. If you know what you want to listen to is available on an app, like iHeart or TuneIn, you can use your Bluetooth enabled device (such as a smartphone or tablet) with our Senta Ally Bluetooth® Speaker. It provides much better sound than phones or tablets. Here’s a quick video to explain how it might work for you. You can also check out Reception Tips 1- Radio Noise Problems & Static and Reception Tips 2 – How to Improve AM Reception and Boost the Signal. And of course, if you need help figuring out the right solution for you, we’re always here to help.